Dental appointments, whether you are in for a simple cleaning or larger dental procedure, can be stressful. Here at Riverside Dental Care, our dentists offer sedation dentistry to ease the anxiety dental visits can induce. Minimal sedation – When this level of sedation dentistry is used, the patient will feel relaxed but still be completely awake. Moderate sedation – The disconnection from the dental experience is deeper at this level of sedation. Some patients experience difficulty pronouncing words clearly, and there may be holes in their memory of the dental experience. Deep sedation – Patients often don’t remember dental procedures done under deep sedation. They are still awake but very unaware of their surroundings. General anesthesia – This form of sedation is the only kind that puts a person to sleep. Most patients struggle to remember anything surrounding the procedure. Individuals who have a strong gag reflex – Those individuals who already have an active and strong gag reflex may find it triggered more often during dental visits. Minimum sedation can ease this issue, so their teeth can be cared for properly. People with low pain tolerance – Even a simple dental cleaning can be too much for people who have a low tolerance for pain. Minimal-to-moderate sedation can generally be used to alleviate this issue. Someone with extremely sensitive teeth – Similar to people with low pain tolerance, those with highly sensitive teeth may not be able to sit through a dental procedure even with topical anesthesia. Minimal-to-moderate sedation is often used in these cases, though deep sedation may be required to avoid pain. Individuals who have high anxiety – Dental anxiety can be common among those who do not regularly visit our dental office. Using minimal sedation, the anxiety can be eased, and their teeth can be seen to by one of our dentists. People that need extensive dental work – Even if dental anxiety or other common sedation dentistry issues don’t normally apply, minimal sedation can help people who are undergoing an extensive amount of dental work more comfortably. Children who refuse dental visits – While plenty of children aren’t thrilled about dental visits, some are paralyzed with fear and refuse to sit in the dental chair. With a careful application of minimal sedation, these children can manage a dental visit to our office. If you are interested in receiving sedation dentistry in St. George, UT, our dentists at Riverside Dental Care can offer you this level of dental care. The types of sedation dentistry offered at our dental office are nitrous oxide, oral sedation, and IV sedation. Nitrous oxide, sometimes called laughing gas, is a colorless and odorless gas used as a relaxing agent during your procedure. This type of sedation is considered minimal. It is not an anesthetic, so you will need a local anesthetic in conjunction with the nitrous oxide if you are having a dental procedure done, such as having a cavity filled. The gas gives you a feeling of euphoria, eliminating much of the anxiety associated with dental procedures. It is mixed with oxygen, making it a safe procedure for all ages–children as well as adults. Also, one of the main benefits of using nitrous oxide is that the effects will end once you stop receiving it from our dentists. That way, you can easily drive yourself to and from your dental appointment. Oral sedation is generally used with a person who is moderately stressed by visiting the dentist. It provides a moderate level of sedation, allowing the anxious individual to disassociate from the experience. Many people find this method of sedation very helpful during their procedure. You will take an oral medication for relaxation, such as Valium, one hour before you come to your appointment. To increase the utility of the oral sedation, it can be mixed with nitrous oxide for an even greater effect, without harming you. This type of dental sedation will cause you to relax all over and leave you unable to properly function to drive yourself to or from your dental visit. If you have oral sedation, make sure to arrange transportation to our office. IV sedation is a type of deep sedation and is the most effective method of relaxation for dental procedures that still allows you to be awake. A drug is given to you through an IV in your arm, which causes you to relax. You won’t become unconscious during the procedure, but you’ll find that most of the time you won’t remember what took place. Our staff will place you on monitors while you are using this method of sedation to ensure that you are relaxing properly during the procedure. There are lingering effects to having IV sedation, and you will not be able to drive yourself home. We recommend arranging transportation to and from our office. 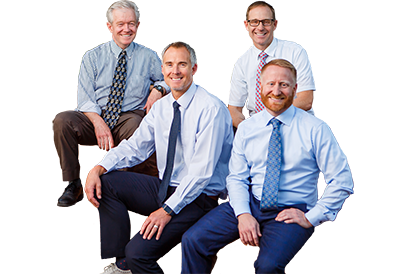 While there is always a small amount of risk when it comes to anesthesia, each of our dentists is experienced in all aspects of the dentistry offered at Riverside Dental Care. To ensure that you are safe when you receive sedation dentistry, we will do a variety of things. Our staff will cover your medical history, as some issues such as sleep apnea can make sedation dentistry difficult. Your age, weight, and height are needed to determine the appropriate amount of sedation you need to receive for it to be effective. We will monitor you carefully, especially under the deeper forms of sedation, to be sure that you are responding well to the sedation. The potential risks of the type of sedation you will experience will be gone over with you. If you are interested in receiving sedation dentistry, and you are living in the St. George area, you can contact us at Riverside Dental Care. Our experienced team of dentists can provide expert levels of care and can make your next dental visit far more pleasant.